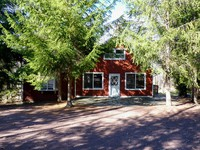 Rick's Pocono Blog: A Chalet Beauty for Rent in Split Rock! This is a classic chalet home in Split Rock Resort. Close to H20, Golf, Galleria, Lodge, Big Boulder Resort, and much more. Split Rock is located in Lake Harmony which is the power boating lake in the Pocono Mountains. This home is a 3 bedroom 2 bathroom chalet with 3 levels. There are 2 doubles, 1 king, 1 sofa bed, 2 singles, and 1 queen. 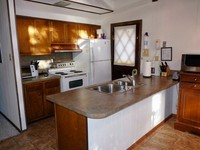 Appliances included such as Refrigerator, Washer/Dryer, Dishwasher, Microwave, Stove, and Cable T.V. 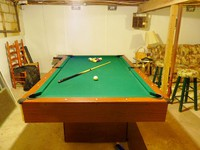 Some other fun extras incluse a Pool Table, Air Hockey, Propane Grill, and Propane Fireplace. Split Rock is Located Just off of Rte 940, opposite of Jack Frost Mountain and so Very Close to Big Boulder Ski Resort. Situated around Beautiful Lake Harmony, the areas only motorboating lake, are Split Rocks Fabulous Cottages. Enjoy living or vacationing in this Whimsical almost Fairytale like setting of forestry, lakes, streams and ski resorts. Fabulous Golfing and more await you as the new owner of a Split Rock Property!